What should you avoid when designing a native ad? 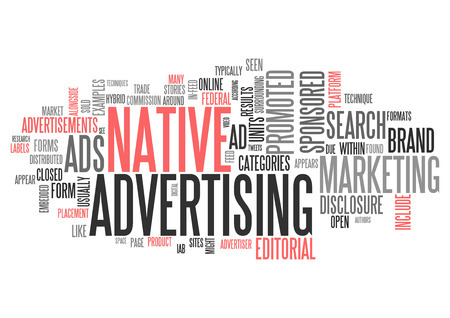 Native ads are more about delivering useful information and getting people to want to learn more about your specific product or service. This is not the place to deliver the hard sell as it might turn off potential customers. A more direct approach should be saved for when the potential customer follows the call to action and heads over to your website. Stick with the old adage of “Keep It Simple, Stupid” and you will have success with native ads. Many ads of this kind are presented as articles, and if that is the format you choose to go, make the content light, informative and useful. However, it should be persuasive and convincing in ways that make the readers want to learn more about the subject. While you are not trying to go the hard sell route, you are still trying to sell in a subtler kind of way. One of the best ways to convince people to learn more about your product is to deliver statistics and data that are positive to your target audience. By the time they click on over to your website, they may already be convinced to make a purchase. The goal with a native ad is to deliver information about your specific industry as opposed to hyping up your own company. Save the self-promotion and glowing testimonials for your website. This is a major no-no for any type of advertising, but particularly so for native ads. It’s important that you deliver solid information in your ad copy, but it has to be done in a way that is entertaining and useful to the readers. If you can’t get them interested in your ad copy, you are going to have a tough time getting them interested in your product or service. Since native ads require to create something that fits well within the sites you advertise on, it makes sense that no two ads should really be the same. Cater the ad to where it is being placed on and you will almost certainly experience much better results in terms of click through’s and sales. Why should you add video advertising to your website? Ad serving describes the process of delivering ads to viewers through an ad server, which is a platform that helps you perform tasks related to your online advertising program. Why should I choose AdSpeed adserver? Here are the top five reasons why you should choose AdSpeed over other ad servers. When it comes to building a brand and growing a business, real estate agents really need to get their name and face out there. If you pay attention, you will clearly see that advertising is around us wherever we go. How do I perform A/B split testing for ad variations?